Kim Jae-chul, chairman and founder of Dongwon Group, on Tuesday announced his resignation after 50 years of leadership, the group said in a press release. 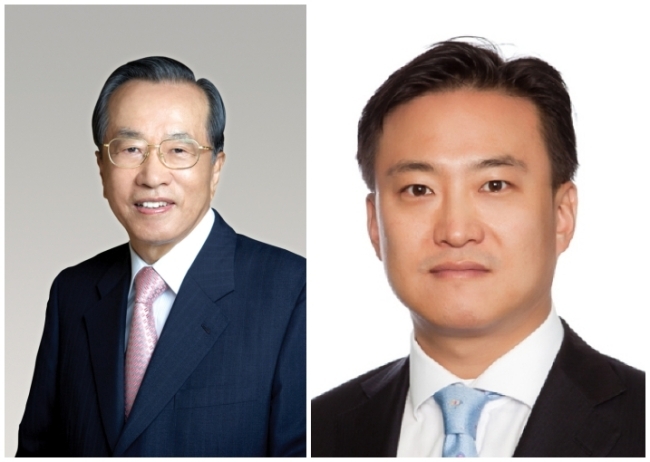 Taking over management control of the food and logistics conglomerate is Kim’s younger son Kim Nam-jung, who has been serving as the group’s vice chairman. “Trusting your capacities, I now plan to step down from the chairmanship,” the 84-year-old business tycoon said at the group’s 50th anniversary celebration. His move marked a rare case of a first-generation conglomerate founder leaving his post voluntarily, without a power transition brawl or related tax dodging allegations. “(The group’s) affiliates will continue to operate under an independent management system and the holding company Dongwon Enterprise takes charge of overall business strategies,” an official said. The younger Kim is already effectively in control of the group, with 67.98 percent stake in the holding company, while his resigning father holds 24.5 percent. His first son, Kim Nam-goo is currently chief executive at Korea Investment Holdings. The financial firm was previously owned by Dongwon Group under the name Hanshin Securities. Under Dongwon Enterprise are aligned three listed firms -- Dongwon Industries, Dongwon F&B and Dongwon Systems -- and other unlisted affiliates. The junior Kim, who was named one of South Korea’s 50 richest people last year, is to become one of the nation’s youngest conglomerate chiefs here at 45. Since taking office as vice chairman in 2013, the younger Kim has been known for his aggressive leadership especially in mergers and acquisitions, adding logistics arm Dongbu Express in 2016 and a number of overseas businesses in recent years.